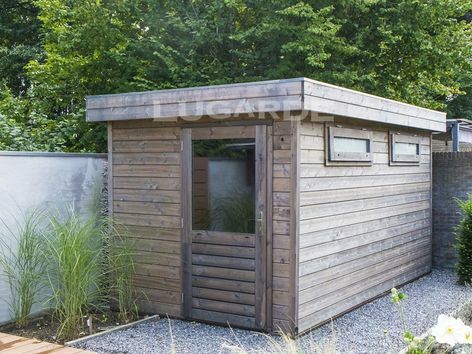 The Lugarde Prima Mason is a good sized flat roof summerhouse. The letterbox windows with opaque glass plus the extra wide single door make it an ideal workshop or storage summerhouse. 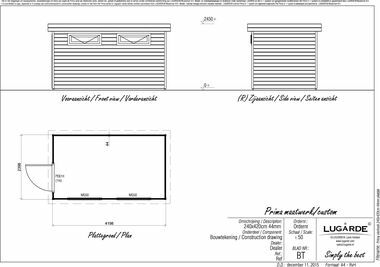 Summerhouse size 2.4m x 4.2m in 44 mm log thickness. The standard package includes 1 x PE61H single door (100mm wide) and 2 x MG50 windows with opaque glass.